Custom stainless steel vase. 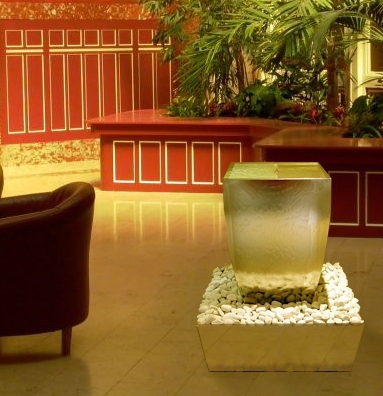 Beautiful floor fountain that compliments any room in your home or office. Memorable statement in any lobby or entryway. Call for details.